It's called the "Orbit" hub. Yes they exist, gotta check the 'Bay for 'em. 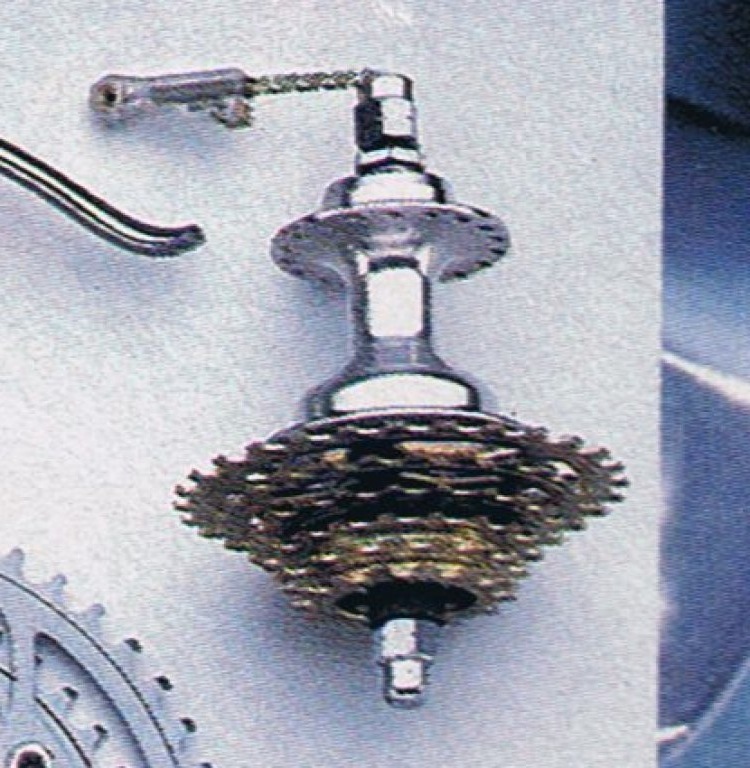 i'm not completely sure, but think they were used with the "commander" deraileur, where the link for the internal gearing went through the mounting-bolt or something. also sometimes on the bay. I've been thinking of doing a New sucess on a Girini frame i've got. looks like nice stuff but i'm leaning toward Mavic now. Here's one of the hubs. i impulse-bought one of these hubs a couple years ago via a CR (ibob?) lister that found a pile of them in australia, and later found a matching thumbshifter for it on ebay. i never built it up tho. it kind of makes no sense; all the ostensible downsides of derailleurs (maintenance) and hub gears (internal resistance). also, the 0.74 low-gear ratio, which i think was chosen to mimic a 39 when paired with a 53t ring, combined with the poorly chosen 12/15/17/20/24/28 cogs gives a pretty redundant set of gears. i wound up setting up my liquor store bike with a 12/34 freewheel and a single 46t ring instead, which gave me about the same range and number of useful gears. 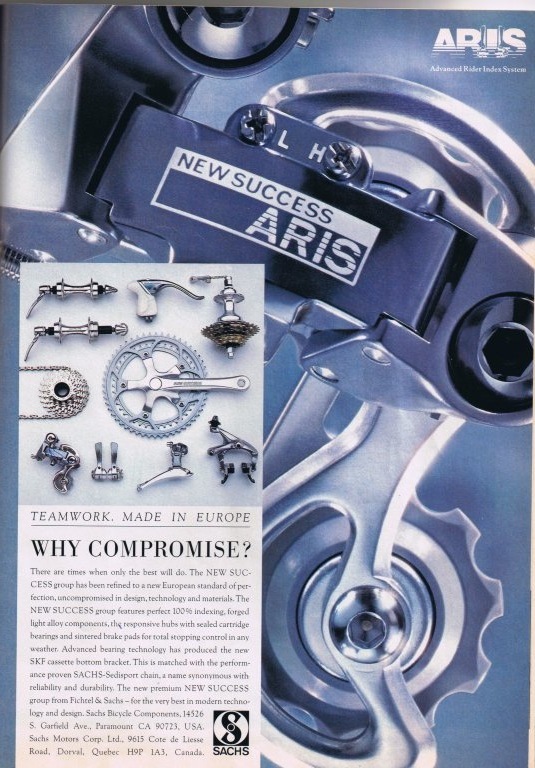 The multiple sprocket/internal hub gear combination is genuine; the Sachs-Huret brochure for (I think) 1995 featured a number of groups with this option, though the road groupsets such as New Success didn't seem to be amongst them - those which were offered were mostly aimed at leisure and off-road riding. Sadly I no longer have the catalogue in question so it's difficult for me to verify this by way of producing a scanned page or two.